Gulf War Syndrome refers to the complex of symptoms that affects veterans of the 1990-1991 Gulf War at significantly excess rates. It is characterized by multiple diverse symptoms not explained by established medical diagnoses or standard laboratory tests, symptoms that typically include a combination of memory and concentration problems, persistent headache, unexplained fatigue, and widespread pain, and can also include chronic digestive difficulties, respiratory symptoms, and skin rashes. …the biological effects of different combinations of pyridostigmine bromide (PB), multiple pesticides, low-level nerve agents, oil and dense smoke from burning wells, depleted uranium (DU) weaponry dust, fuel vapors, exhaust from tent heaters, Chemical Agent Resistant Coating (CARC) paint, airborne particulates, infectious agents, and receipt of multiple vaccines, experienced concurrently or over a brief time period, are unknown. Many have suggested that unknown and difficult-to-characterize effects may have been precipitated by an ‘exposure cocktail’ or ‘toxic soup’ effect during Gulf War deployment. An autoimmune disorder is a disease in which the body produces antibodies that attack its own tissues, leading to the deterioration or destruction of such tissue. Hello, I was the commenter that followed the seminar earlier today. As you probably could sense, I sensed an urgency to speak to the audience, especially the Veterans Task Force members that hosted the event and the veteran students in the audience (most of whom had unfortunately left by the time I spoke). I wanted to relay to you some details about the tremendous progress that is being made in understanding the root causes – and therefore the rational treatment – of the Gulf War Syndrome (GWS) that has been published in the basic science research literature. Many investigators into the GWS epidemic are becoming increasingly aware of the new research that concerns the adverse physical, neurological and psychiatric effects of the many military toxins that affected many, if not all, Gulf War vets. See the list above. Among the examples of military toxins that I as a physician am most familiar with are the physician-prescribed psych drug cocktails (never proven for safety or efficacy in any population, including the military population) and the physician-prescribed vaccines (also never proven for safety or efficacy, especially when given in combinations). Any of those ‘drugs’ can cause physical illnesses as well as neurotoxic illnesses (and thus psychotoxic illnesses) in some form or another. 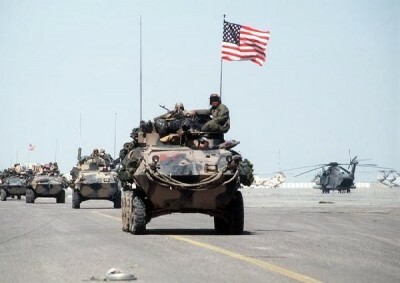 Given the multitude of toxic exposures that all soldiers experience after induction, one can expect that the academic preparedness of Gulf War veterans will also be adversely affected. Of course, every investigator into the psychology and neurology of GWS understands that there are many potential contributing factors other than toxic drugs or toxic vaccines. Just consider the effects of the acute and chronic physical, emotional, psychiatric and neurological stresses that every combat vet experiences. Such stressors can be devastating to anybody, but each victim will react totally different from the next. Combat vets from each of America’s most infamous and most tragic undeclared high tech wars (Vietnam and Gulf Wars I & II) commonly experience chronically elevated (and therefore potentially brain-altering) cortisol and adrenalin levels, but Vietnam vets also suffered from exposure to Agent Orange, a seriously neurotoxic and carcinogenic herbicide that seriously damages the body’s mitochondria. Gulf War vets were exposed to neurotoxic pesticides, just like Vietnam vets were, but they perhaps might have been somewhat less toxic and shorter-acting than the infamous dioxins that were in Agent Orange. On the other hand, Vietnam vets were NOT exposed to the experimental Anthrax vaccines that even non-deployed Gulf War soldiers received, and Vietnam vets got far fewer vaccinations in general. GWS soldiers were heavily inoculated with vaccines that contained mercury [thimerosal] preservatives plus aluminum and squalene adjuvants) that Vietnam-era soldiers did not get. And, even though many Vietnam vets came back from war heroin-addicted and alcohol-dependent, they were not saturated with anywhere near the same number of potentially psychiatric drug cocktails that Gulf War vets did. So the issue of comprehensively helping with the academic and social performance of military veteran students (who may or may not be experiencing full-blown or partial expressions of either GWS or PTSD) is a much more complex issue that any faculty member can be expected to comprehensively deal with, but the Task Force members must understand the situation as comprehensively as possible. I suspect that affected veteran students would thank you for doing so. As I mentioned in my comments earlier today, fully understanding the implications of the new research into vaccine toxicity would take hours of study. My 10 minutes of commentary was insufficient to do more than perhaps whet your appetites to learn more, but I would hope that there would be some attempt by the Task Force to be totally open to new information and to impart that information to the affected students so that they could make good use of it somehow. Therefore, I attach below, in the form of a handful of abstracts from several basic neuroscience journals. This information is actually just a small fraction of the new information that, as I mentioned, is not being published in mainstream medical journals (and thus is likely unappreciated by mainstream physicians). It needs to be said that most medical professionals don’t willingly discuss iatrogenic (physician- or treatment-caused) diseases. Nor do most medical professionals want to discuss new illnesses that they don’t yet know much about. That sort of avoidance response also seems to apply to most medical trade associations such as the AMA, the APA, the AAP, the AAFP, etc as well as most medical journal editors. But I think we all agree that any good liberal arts college should be open to – indeed should seek out – any and all new information that might assist in the solving of problematic situations that we all face daily, including what to do about the victims of Gulf War Syndrome. 1Hospital de Especialidades Centro Médico La Raza, Instituto Mexicano del Seguro Social, Mexico City, Mexico. Postural Orthostatic Tachycardia With Chronic Fatigue After HPV Vaccination as Part of the « Autoimmune/Auto-inflammatory Syndrome Induced by Adjuvants »: Case Report and Literature Review. 1Sheba Medical Center, Tel-Hashomer, Israel ; University of British Columbia, Vancouver, British Columbia, Canada. 2Sheba Medical Center, Tel-Hashomer, Israel ; Sapienza University of Rome, Rome, Italy. 3Sheba Medical Center, Tel-Hashomer, Israel ; Tel Aviv University, Tel Aviv, Israel.